We have been collecting Twitter data on the UK-EU Brexit referendum since August 2015 and we currently have over 62 million Tweets. We collect data in several ways but the data set we discuss here is gathered using a variety of brexit related hashtags. Twitter released a list of user names and id numbers of 2,752 Twitter accounts that the company identified as being related to Russian troll activity relating the US 2016 election. We searched within our data set for signs of activity from these accounts. We found 3468 tweets from 419 users on this list. 400 of these tweets were on the date of the EU-referendum, 23rd June 2016 and were from 38 users. 432 were in the week of the referendum from 58 users. We also took a look at the user defined location field in these tweets. Some have no location specified (127) but of those that do most (370) say they are from the USA (America, USA, US, state names, cities, towns). Only three of the users we find say they are from the UK. Many of the tweets actually came after the EU-referendum polls closed — 78%. Only 776 tweets were before 23rd June 2016 10pm BST. We found that 59% of the tweet text started with ‘rt’ and are therefore likely to be retweets. This leaves 41% that is not a direct retweet and may be original content. We are confident that our findings are a conservative estimate of the activity of the 2752 accounts identified by Twitter as problematic. We have an automated process in place for deleting archived tweets when Twitter send out a request to do so. Typically when they suspend or delete accounts (as they have with this list) this is what Twitter do. We may, therefore, already have deleted relevant data from our archive. Also we only collect the allowed sample of free data from Twitter for our research. So although we have over 62 million tweets collected, we will not have captured all of the activity by these users. Caution, however, needs to be exerted when trying to assess the influence of these users in relation to Brexit. First, the numbers, even if conservative, are relatively small. 3468 tweets out of 62 million in our data set came from 419 users on Twitter’s list of 2752 suspect accounts. Second most (78%) of the tweeting using Brexit-related hashtags that we find, took place after the date of the referendum. On the other, hand, we should not assume that there was no influence either. We know, for example, that some of these users had high numbers of followers. More nuanced data is needed on what happened to these 3468 tweets. How often were they retweeted for example? It is important to remember that when searching for the users on the Twitter list, we are examining the behaviour of users identified as having attempted to disrupt the US election. It is perhaps, unsurprising that those tweets that appear in our Brexit-related data set post-date the referendum. Although these users are using Brexit-related hashtags, we cannot say whether they were primarily trying to influence Brexit itself or whether Brexit was simply an issue recognised as disruptive, or as amplifying issues around immigration and free trade blocs that resonated in US election debate. 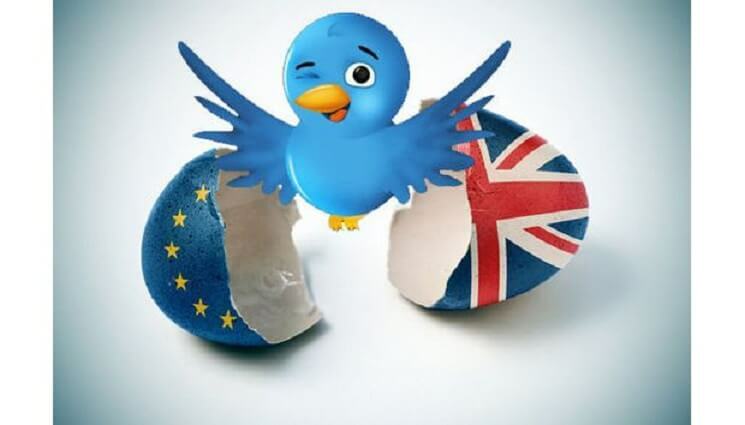 The significance of these findings is that they provide the first hard evidence that users identified by Twitter as having Russian links and as seeking to influence the US election, were also actively tweeting on Brexit-related issues. To establish the extent to which the Brexit debate, or indeed the UK general election, were influenced by such users we need an equivalent list of users seeking to target these specific events and a complete data set. This would allow more nuanced analysis of the level, type and significance of activity and influence to be assessed. This is an issue of vital public interest but the much needed detail is in danger of being lost in the hype surrounding this issue. This blog is written by Clare Llewellyn and Laura Cram of the Neuropolitics Research Lab from the University of Edinburgh. The project is part of the UK in a Changing Europe programme and is funded by the ESRC.